A competition for water-related clean tech startups, Imagine H2O, announced its 2010 finalists today. The competition focuses on water startups that save energy, especially in the areas of sourcing, distributing, treating and disposing of water. Sure, oil and water don’t mix. Neither do electricity and water. There’s still a serious connection between energy and H2O. We use huge amounts of power to get our water, and vice versa. At utilities and in the home, where consumers use a significant amount of energy to heat their water, reducing water consumption almost always leads to lower costs, reduced energy consumption and less air pollution. Imagine H2O seeks to halt a widely anticipated global water crisis, but also views global water problems today as an estimated $500 billion market opportunity for providers of water products and services. 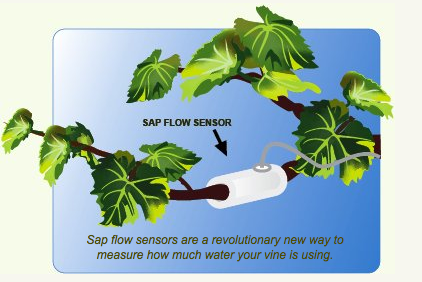 In 2009, Fruition Sciences took the Imagine H2O grand prize for a system that monitors vineyards with wireless sensors, weather stations and software, ensuring that vines are irrigated efficiently, leading to optimal berry (or grape) yields. This year’s IH2O grand prize winners will receive at least $20,000 in cash, $15,000 of in-kind legal services and the same amount in consulting services. IH2O’s second and third place winners will each receive at least $10,000 in cash, $7,500 of in-kind legal and the same amount in accounting services. They will be chosen by and announced in March 2011. Agua Via develops a 1-atomic layer thick nanotech membrane that enables desalination at a 66% energy reduction and 50% cost reduction, providing energy-efficient purification and wastewater remediation. BlackGold Biofuels – Recovers energy from wastewater streams, creating lucrative renewable energy assets from pollution liabilities. FogBusters Inc. – Treats petroleum, biofuel and food processing wastewater “better, faster, cheaper, cleaner and greener” while capturing the FOG (fat, oil and grease) to make into biodiesel. Hydrovolts – Makes portable floating turbines that make renewable energy and clean water from an untapped global resource of hydrokinetic energy in water canals. mOasis (no website publicly available yet) – Harnesses water on any land in the world so that plants grow and the planet can restore its ability to sustain life. NLine Energy, Inc. – Converts wasted energy found in water transmission and distribution systems into renewable energy. Pilus Energy – Harnesses genetically enhanced bacteria in scalable electrogenic bioreactor and harvests the electricity and biogases from their metabolism of organics like those found in wastewater. Puralytics – Solves critical water contamination problems with environmentally superior products. Solar-Machines – Innovative, non-PV based technology directly and efficiently converts solar energy into mechanical work for water pumping applications. Water Resources Management Co. (WRMC) – Helps water utilities realize the full benefits of their investments in advanced meter reading, system control and asset management.